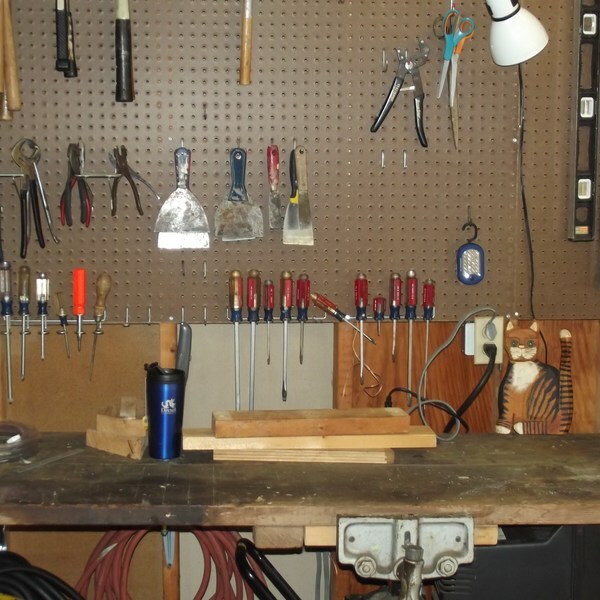 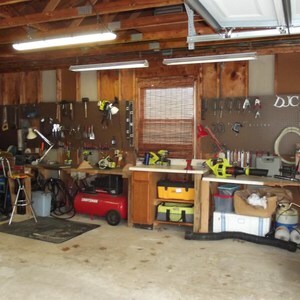 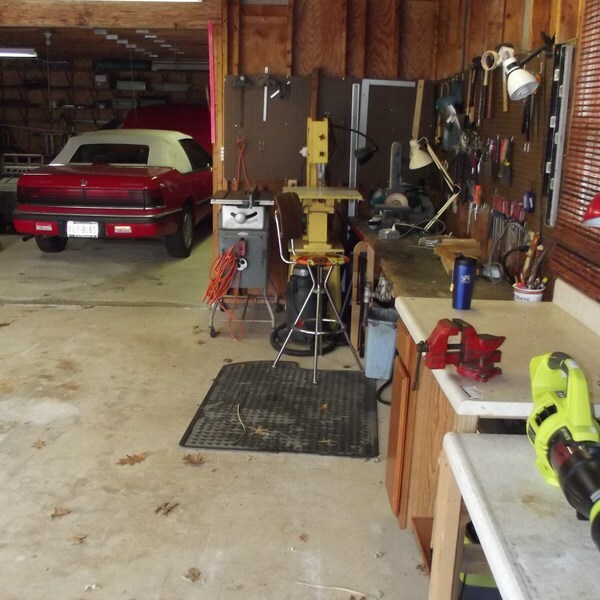 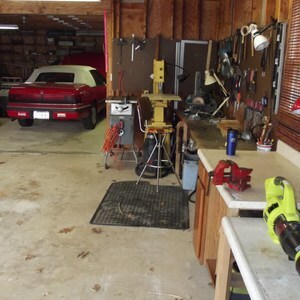 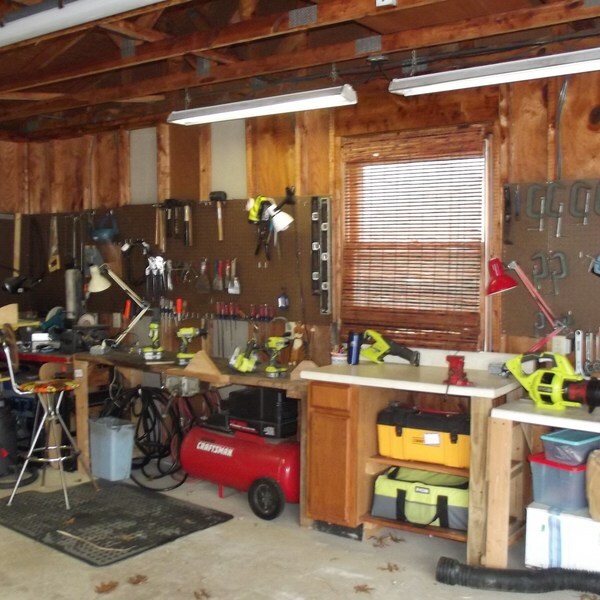 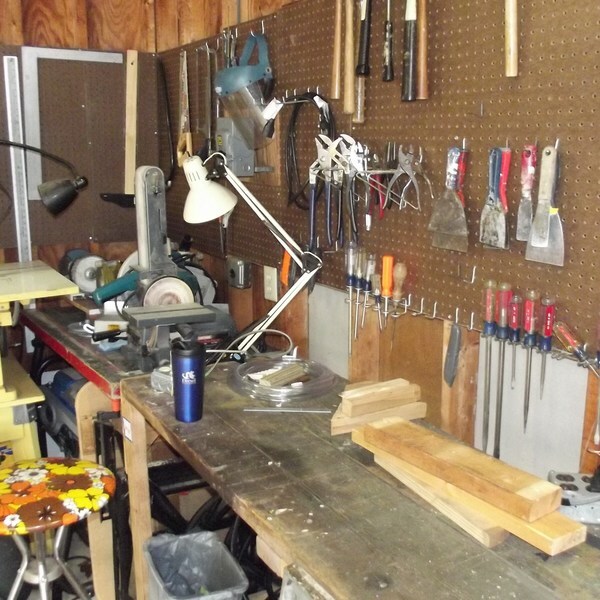 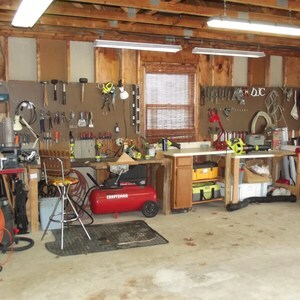 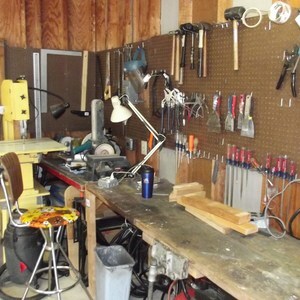 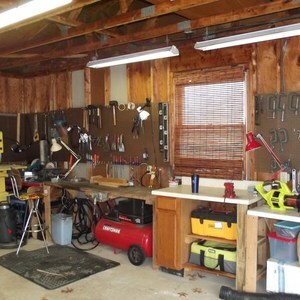 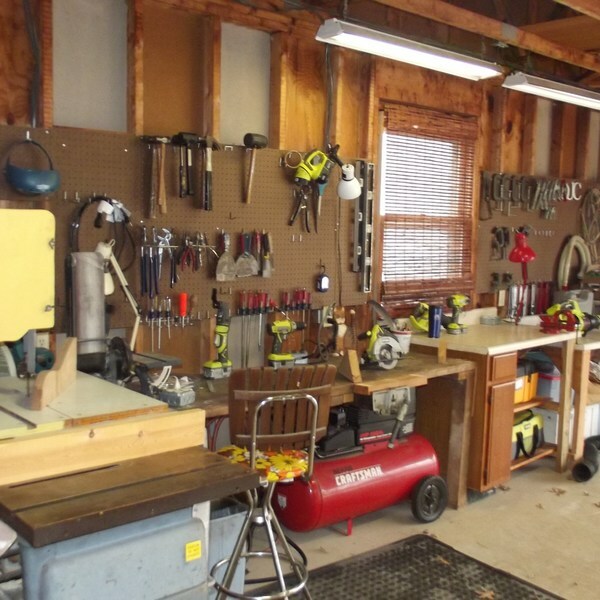 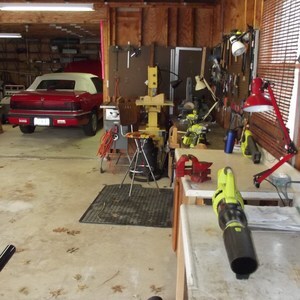 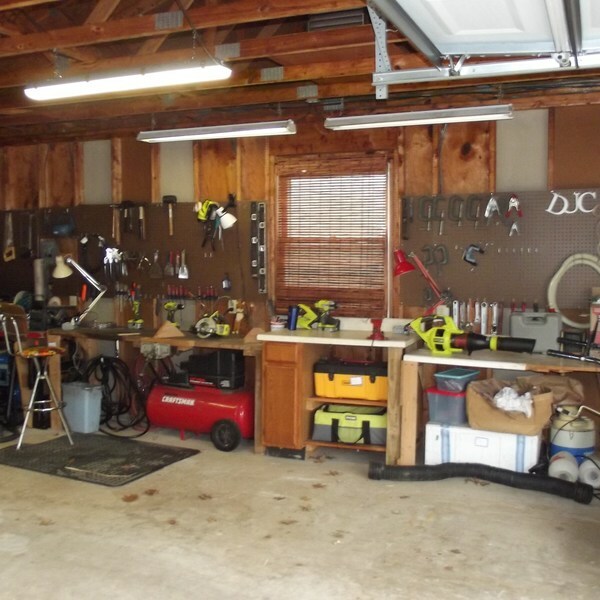 Don's workshop made of benches and tools accumulated over the years. Nice workshop! Looks like some awesome projects could be completed in there!